Betweenness is the property of lines in certain geometries, such as plane geometry, which allows one to talk about when a third point is between two points. Betweenness does not hold in some geometries such as non-Euclidean geometry and the Fano plane. 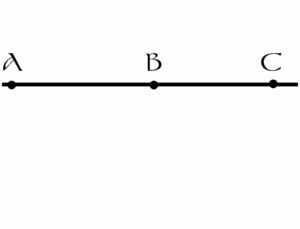 Betweenness is equivalent to the line being a linear order of its points. The concept of betweenness was first mathematically expressed by David Hilbert, though the concept has naturally been used imprecisely in mathematics since at least the time of Euclid. This page was last modified on 12 July 2016, at 22:10.